For the first time at the Center, the floor was covered with yoga mats and stretching bodies as Kimberly Carson led a workshop on Mindful Yoga as a benefit for CSS. Twenty six people attended, most of whom were local yoga teachers and students. Kimberly Carson, a CSS member from Portland, Oregon, sponsored and led the workshop on the weekend of January 26-27, 2019. Kimberly trains people with medical challenges such as chronic pain and cancer (and other acute degenerative diseases) in using mindfulness and inquiry to address these challenges through the vehicle of hatha yoga. She also trains medical providers and yoga teachers on the benefits and uses of this kind of yoga for their students and patients, and for seniors. She has taught mindfulness-based stress-reduction for twenty years. The weekend began with a presentation on the physiology of stress and its mechanisms, citing many studies and clinical trials showing the benefits of yoga and mindfulness practices for practitioners. Kimberly then presented gentle yoga stretches that can be executed safely by medically-challenged bodies. Most of us at the Center are familiar with mindfulness and inquiry in our exploration of the spiritual path. Kimberly gently reminded us that these practices are not restricted to the cushion, but are ways to embrace every moment. She illustrated this beautifully with her introduction to Mindful Yoga. Students were surprised to discover that many traditionally taught yoga postures are actually contra-indicated for those with medical challenges (and aging bodies). The weekend concluded with demonstrations of the Sun Salutation (Surya Namaskar) adapted for Mindful Yoga practitioners. The Center is grateful to Kimberly for the money raised by donations to the Center following this training, and for the reminder that inquiry and mindfulness can be continuous practices in our lives. Kimberly and her husband Jim have been teaching Mindful Yoga for many years. They teach at Oregon Health and Science University in Portland, and travel widely conducting trainings. They have been part of the Center community for fourteen years, and are the parents of two teenagers. On Light of Love Day this past December, Joel gave a talk and presented a slide show featuring our "Family of Mystics" from different traditions that we have come to know and love. The Center's own music group, "The Detachments," led a group sing-along with a parody of the song "We Are Family," from 1979 by Sister Sledge. The refrain words were written by Joel! Commitment – You are here! Attention - Listening, staying present, being aware. Detachment- Noticing the Self-centered desire to “sound good” or aversion to “sounding bad”. Surrender- Can't will it, happens spontaneously – there will be moments when “you” dissolves. Drumming helps alleviate stress that is created from hanging on to the past or worrying about the future. When one plays a drum, one is placed squarely in the here and now. One of the paradoxes of rhythm is that it has both the capacity to move your awareness out of your body into realms beyond time and space and to ground you firmly in the present moment. Each person in a drum circle is expressing themselves through their drum and listening to the other drums at the same time. If you missed it, stay tuned....there will be more! The Center maintains a lending library containing thousands of books, audio CDs, video DVDs, magazines, and journals for patrons to explore the classical teachings of the mystics from all the world's religious traditions. Here we feature reviews of a few items in the collection. See the Library Blog for quotes, reviews and new additions to the library. An American with years of experience as a monk in the Tibetan Buddhist tradition, Alan Wallace presents with clarity these valuable teachings on making daily life the path toward liberation. He takes the traditional Seven-Point Mind Training, beginning with the preliminaries and bodhicitta, showing how to utilize unfavorable circumstances, and finally detailing the pledges and practices of mind training. Each point is explained in such a way that a Westerner can comprehend and implement the intentions of the Tibetan teaching. This is a simple and accessible text that simplifies lay Buddhism and can benefit and inspire anyone with a sincere inclination towards such practice. Peter Sis has given us a lovely book. Illustrated with detailed, stylized drawings on artful papers, this graphic novel is as profound as it is simple. 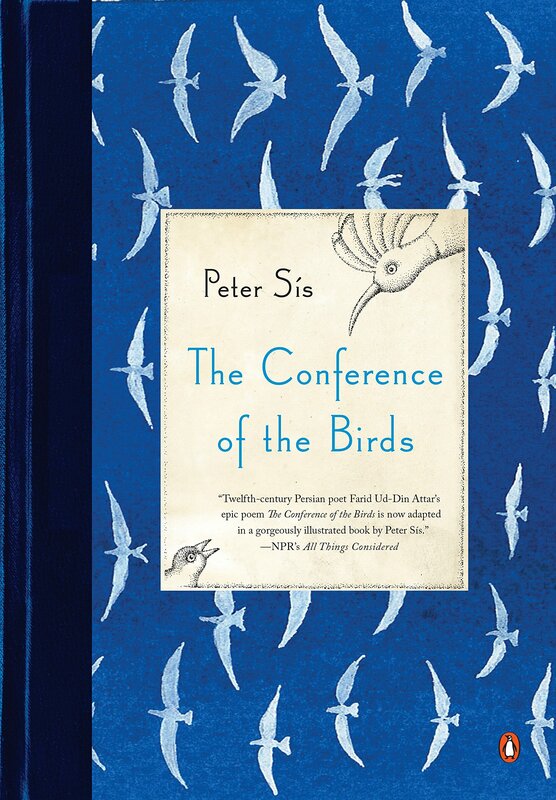 The story starts with the conference, wherein a bird with strange origins addresses a panoply of birds of every description. The birds bemoan the woeful state of the world and set out to find Simorgh the King, who will have the power to solve all their problems. Their journey requires them to pass through seven valleys which have names such as Detachment and Amazement. Some don't make it through. At last they reach their goal: puzzling and profound. Recommended for those intrigued by art and symbol. In the Bible, St. Paul encourages followers to “pray always.” This is a sweet, simple autobiographical account of one man’s attempt to learn how to obey. 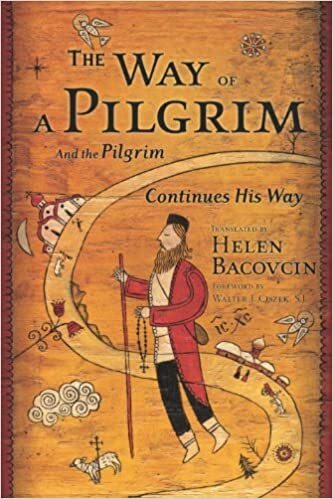 The pilgrim is an anonymous Eastern Orthodox Christian in 19th-century Russia. The journey is external, across time and geographical space. It is also internal, through humility, obedience and devotion to an ever-increasing depth of prayer. Carrying only dried bread, the Bible and the Philokalia, our pilgrim goes where teaching and compassionate service lead. As a seeker, he exemplifies the Center’s universal principles of attention, commitment, detachment and surrender, and can be a profound source of inspiration to one following this path. This account is published in various editions and translations; the one described here and another one are available in the library. In addition, recorded excerpts from the Philokalia are also available for loan. What is the meaning of the spiritual path? Peace and joyful service? Perhaps quiet time in which to pray and meditate? Simplicity, sincerity? Is this what we believe we need to be surrounded by in order to progress? Guess again! 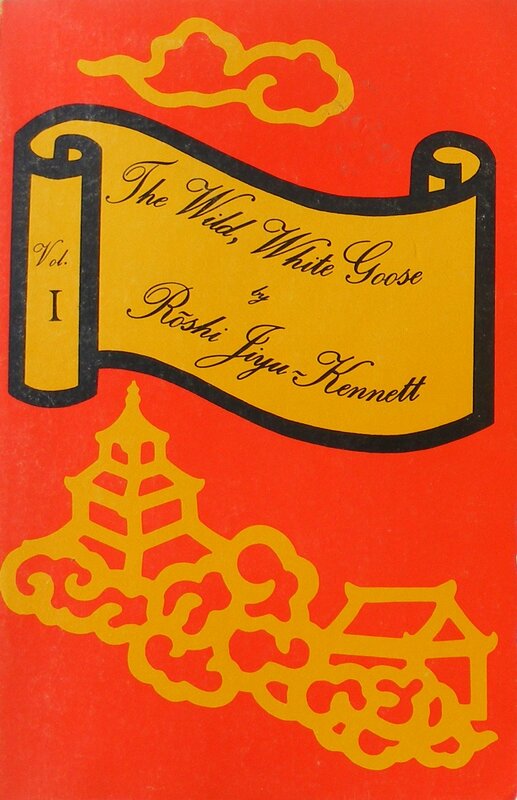 In these two volumes Kennett Roshi describes the trials and tribulations by which she, a woman and a foreigner, was trained in a Japanese male Zen Temple. It gives an account of the ways in which she was transformed from an externally strong, British woman — broken but not destroyed — into an enlightened being of true humility and grace: a person with an unshatterable inner peace that carried her through the gates and corridors of Hell and into a rich life of total surrender, clarity, and service. Through a life surrounded by chaos and political intrigue to the extreme, she demonstrates a degree of perfect surrender that most seekers have not begun to imagine and, through it, perfect union with the Divine. If you are looking for some companionship in coping with the frustrations of the conventional world in which we live, take a journey with this remarkable woman through her years in Japan. You’ll be amazed at your increasing gratitude — and your willingness to surrender more and more . . .
Betty Vail, CSS member, is showing an exhibit of paintings and photos at the Center, beginning in February, 2019. These sketches are from a period of loss in my life. The spiritual writer Stephen Levine said that our loved ones can die a thousand deaths. I didn't understand that fully until my son died suddenly in a car accident. He died a thousand deaths...for a millisecond, I would forget he had died, then remember and he would die all over again. Left with no word, no thought, no feeling; only motion of movement, one to the next, breathe in, breathe out; forgetting a moment, remembering, and again he died. There's comfort in daily routines of have-to and should, where movement blurs what has been or could be...until we hear words that change our rhythm, that dull our have-tos and wants. During that time of loss I would be drawn to paper and pen and could feel something beyond myself draw shapes, not understanding but willing to continue. The sketches were stories, part of me undiscovered. I took a class called "Anyone Can Draw" and discovered I could not draw, but was fascinated with the idea that when we let go of the concept of a fish, a face, a table, a bowl, what was left were shapes and shapes could be drawn. I've continued to draw/paint/take photographs of the beauty that surrounds us. But these sketches during a time of loss, hold a special place in my heart. Back in 2015 Annie OʼShea and Rich Marlatt began co-teaching a weekly beginning Tai Chi For Better Balance class at CSS that was based on the specific movements developed by Dr. Fuzhong Li PhD, at the Oregon Research Institute in Eugene. Annie and Rich had taken a training course from Dr. Liʼs teacher that offered a blend of traditional Tai Chi and specific balance exercises with the primary goal of improving balance reactions and control in the older population. Dr. Li kept updating his movements in his program which became complex and extensive, with more focus on balance exercises than on Tai Chi, and the movements became more choppy and lurching. During this time Annie continued to receive training in the Yang Family form of Tai Chi from her local instructor, James Fox, and in the Fall of 2017 she and Rich decided to drop Dr. Liʼs program and teach a short beginnerʼs form of the Yang Family Tai Chi comprised of just sixteen movements or postures. Yang Jun, a descendent of the Yang Family Tai Chi lineage, lives and teaches in Seattle, and oversees many centers and schools throughout the world. Annie and Rich utilize a YouTube video featuring Yang Jun doing the sixteen movement form as the template for their class. Tai Chi apparently originated as a martial arts form, with strict lineages mostly within certain families who would pass on their secret techniques and principles to family members and a few other chosen students. With the passing of time, Tai Chi has spread to the masses with many modern forms placing emphasis on the health benefits derived from the practice. There are many different forms of Tai Chi today, which continue to multiply, but the principles of relaxation, full and empty, upright posture, and rounded effortless movements generally remain the same. The Tai Chi class offered by Annie and Rich is not a drop-in class, and generally follows the CSS calendar year with a Summer break and restart in the Fall. The class this year is slated to end sometime in late May, and the beginning date of a new class will be announced later. The class meets at the Center every Friday afternoon, lasts one hour, and slowly proceeds through the sixteen movements or postures over several months. Alumni can repeat the class the next year and deepen their technique, go on to a more advanced form with another teacher, or simply continue to practice on their own. The class is offered on a donation basis, with donations going to the CSS building fund. CSS will be hosting a devotional art exhibit in May. We are inviting all members to contribute a piece of devotional art from their collection. The art works will remain on display for two months, after which time they will be returned to members. Please join us by including art from any tradition in this first-time, all-member, homage to devotional art. Stay tuned for more details about this fascinating project reflecting the Center's interest in the mystical traditions of the world. The Center for Sacred Sciences is dedicated to the study, practice, and dissemination of the spiritual teachings of the mystics, saints, and sages of the major religious traditions. The Center endeavors to present these teachings in forms appropriate to our contemporary scientific culture. The Center also works to create and disseminate a sacred worldview which expresses the compatibility between universal mystical truths and the evidence of modern science. Among the Center’s ongoing events are Sunday public services, with meditations and talks given by the Center’s spiritual teachers; monthly Sunday video presentations; and — for committed spiritual seekers — weekly practitioners groups and periodic meditation retreats. The Center is accessible. We are a welcoming and inclusive community. The Center maintains an extensive lending library of books, audios, videos, and periodicals covering spiritual, psychological, philosophical, and scientific subjects. In addition, the Center provides a website containing a great deal of information and resources related to the teachings of the world’s mystics, the universality of mystical truth, and the relationship between science and mysticism. The Center publishes this newsletter providing community news, upcoming programs, book reviews, and other contributions and resources related to the Center’s mission. The Center for Sacred Sciences is a non-profit, tax-exempt church based in Eugene, Oregon, USA. We rely chiefly on volunteer staff to support our programs, and on donations to meet our operating expenses. Our spiritual teachers give their teachings freely as a labor of love, and receive no financial compensation from the Center. The Center Community News is published on the CSS website several times a year. Its primary purpose is to help foster a community of spiritual practitioners by sharing original teachings, experiences, reflections, artistic expressions, and reports among members of our community. To submit your original spiritual reflection, report, poetry or art to the newsletter for publication, please use the newsletter submission form. To subscribe, unsubscribe, or update your existing subscription to the Center Community News, please use the subscription form.